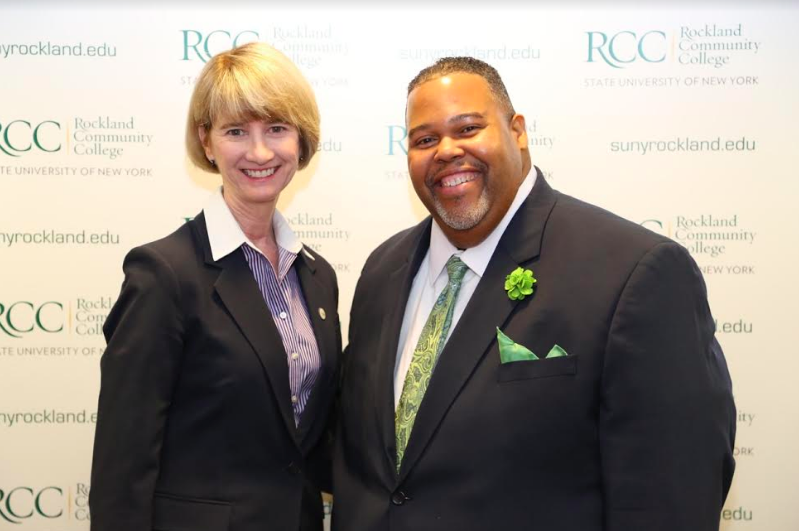 Rockland Community College received a welcome visitor last Tuesday when Dr. Kristina M. Johnson, the 13th chancellor of the State University of New York, toured the campus and met with students, faculty and the school’s president, Dr. Michael Baston. The chancellor was “very impressed” during her first ever visit to the “beautiful” Rockland campus, one of the 64 New York colleges that make up the SUNY system. Dr. Johnson was named SUNY Chancellor in September 2017 and has since visited universities and community colleges across the state in an effort to better understand the needs of New York’s higher learning institutions. “The best part of my day was a roundtable with some of the students,” said the chancellor during a brief press meeting that followed her tour of the campus. Dr. Johnson was impressed with the passion and enthusiasm of the diverse group of RCC students, which included everyone from aspiring playwrights to student teachers. Dr. Johnson also praised RCC’s commitment to sustainable energy. Rockland Community College has made major improvements in its energy efficiency, having recently upgraded the school’s boiler system to a more current model. The new boiler is 50 percent more efficient than the one it replaces. 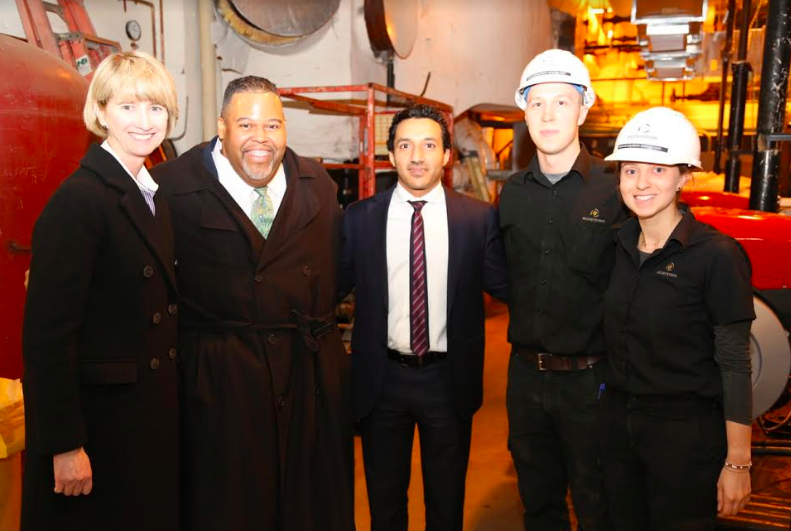 Dr. Johnson, a former Under Secretary of Energy at the U.S. Department of Energy, was very pleased with the schools’ progress. She observed that there is a “ripple effect on campuses” when it comes to energy efficiency. Schools that focus on energy reform will produce students and communities more committed to sustainable power. Dr. Johnson also expressed enthusiasm for the school’s entrepreneurial programs, praising RCC’s focus on a subject the chancellor herself named “one of the four guiding visons” of her tenure in office. Lastly, Dr. Johnson spoke highly of the school’s employment programs and dedication to preparing students for the “richness of jobs available” in a community. The chancellor thanked Dr. Baston and RCC for hosting her before departing for a similar tour of Westchester Community College that was scheduled for later that day. Following Dr. Johnsons remarks, Dr. Baston shared his own impression of the meeting. “We had broad, rich conversation,” said the college president adding that it “was a wonderful opportunity.” Dr. Baston emphasized his school’s commitment to improving and adapting to the needs of the community stating that RCC “can’t limit its focus to traditional academic programs.” RCC’s president also spoke proudly of his school’s “tremendous impact on the community” through its cooperation with local nonprofit organizations and its annual job fair.